I just went to Maps over my lunch break a few mins ago for the first time and met Vincent. He was really cool and friendly. I picked up some sort of Ethiopian and Guatemalan blend, looking forward to drinking some soon. He said that they have a "brew night" there every so often too, where they invite people to come to the shop, bring a sixer or something and hang out and brew something (as in beer, not coffee, just to clarify). 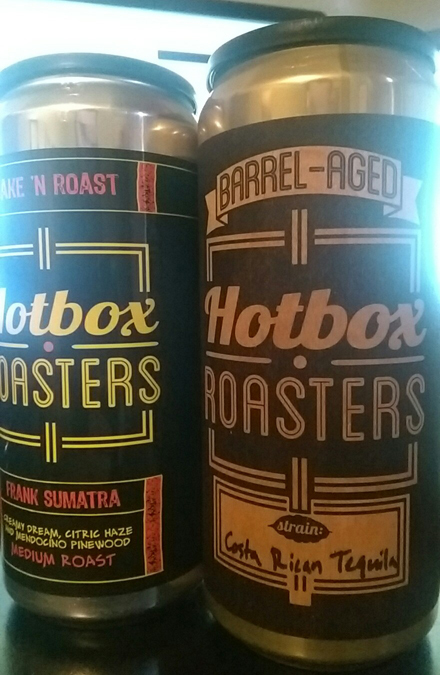 Where did you get the Hotbox beans? I'd be interested in ordering some of those. They actually still have the Tequila BA available. I thought I saw something about them being in Whole Foods in the area now too but I don't remember where I saw that. I'd be happy to share some of mine as well if you want to give it a shot... I didn't realize how much a 32 oz can of coffee beans actually is. EricH wrote: I just went to Maps over my lunch break a few mins ago for the first time and met Vincent. He was really cool and friendly. I picked up some sort of Ethiopian and Guatemalan blend, looking forward to drinking some soon. He said that they have a "brew night" there every so often too, where they invite people to come to the shop, bring a sixer or something and hang out and brew something (as in beer, not coffee, just to clarify). Yeah, he's a really nice guy and knows his stuff. I bought 8 pounds of green coffee from him a few months ago. Had a great cup while I was there. didnt realize he was into homebrewing too.